Daesh militants have hit the defenses of the Syrian armed forces with a devastating blow in the southeastern part of Deir ez-Zor province, targeting Abu-Kumal, a strategic border city close to Iraq's Al-Anbar province, Al-Masdar reported. If the Syrian forces lose, they will have to put their military operation on hold. The Daesh* terrorist group used a huge number of suicide bombers to split the Syrian Army's lines around Abu-Kamal, defeating the first line of the army's defenses in the eastern part of the city, Al-Masdar reported. 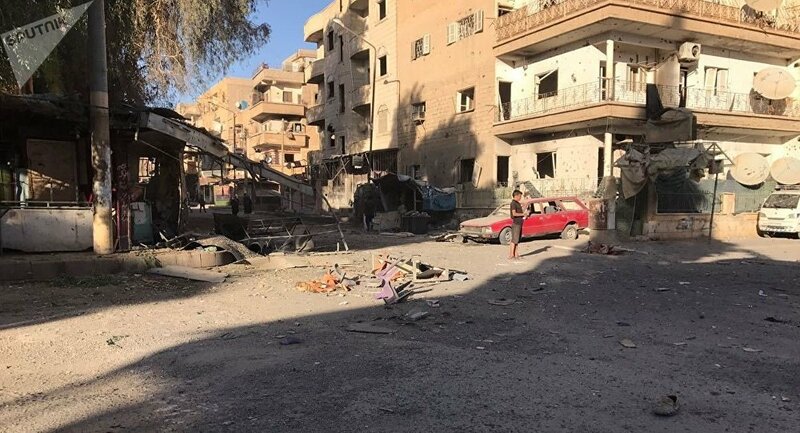 According to the media outlet, the terrorists are trying to pave the way for militants to enter the city, for the first time in several months. Meanwhile, the Syrian government troops are reportedly clashing with the militants not far from the city center. These clashes might lead to the suspension of the Syrian Army's ongoing military operation against Daesh, as they will have to force back the militants. Taking into account the number of the Syrian troops in the area, as well as the fact that the army had been repelling similar attacks earlier this week, the forces have shown poor preparation for the assault, the media portal assumed. *Daesh, also known as ISIS, Islamic State, is a terror group banned in Russia.